a) The Company shall not be responsible or liable for non- renewal of policy due to non-receipt or delayed receipt (i.e. After the due date) of the proposal form or of the medical practitioners report wherever required or due to any other reason whatsoever. b) Notwithstanding this, however, the decision to accept or reject for coverage of any person and / or upon renewal of this insurance, shall rest solely with the Company. The company may at its discretion revise the premium rates and / or the terms & conditions of the policy every year at the time of renewal thereof (if called for). Renewal of this policy is not automatic: premium due must be paid by the proposer to the company before the due date. c) The Company is under no obligation to send renewal notice and its absence thereof shall not tantamount to deficiency in services. d) The Company is under no obligation to renew the Policy merely on receipt of premium unless acceptance of renewal is conveyed by issuing renewed policy with receipt. 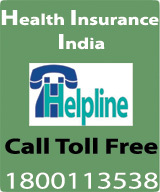 If the Insured desires to renew the policy for enhanced Sum Insured, then the Additional Sum Insured shall be accepted subject to satisfactory medical check up at insured’s cost. The Additional Sum Insured, if accepted, shall be treated as if a separate policy has been issued for that Additional Sum and the restrictions as applicable to a fresh policy shall apply for that Additional Sum Insured. 9. PRE-ACCEPTANCE HEALTH CHECKUP: Any person desiring to take fresh insurance cover has to submit following medical reports (and any other medical reports) required by the company from authorized Network Diagnostic Centre. This provision shall also be applicable for renewal where there is a break in policy period. The Cost of such check up shall be borne by the insured. However in case of fresh proposals, the Company shall reimburse per person 50% cost of Medical Check up or 10% of premium chargeable or Rs.1000/- (Rupees one thousand) whichever is lower. 10. SUM INSURED: The Company’s liability in respect of all claims admitted during the period of Insurance shall not exceed the sum insured opted by the Insured person. Minimum sum insured that can be selected is Rs 100,000/- and higher sum insured can be selected in multiples of Rs 100,000/- upto a maximum sum insured of Rs. 5,00,000/-. a) The insured person agrees to and authorizes the disclosure to the insurer or the TPA or any other person nominated by the insurer of any and all Medical records and information held by any Institution / Hospital or Person from which the insured person has obtained any medical or other treatment to the extent reasonably required by either the insurer or the TPA in connection with any claim made under this policy or the insurer’s liability thereunder. b) The insurer and the TPA agree that they shall preserve the confidentiality of any documentation and information that comes into their possession pursuant to (a) above and shall only use it in connection with any claim made under this policy or the insurer’s liability thereunder. 12. CHANGE OF ADDRESS: Insured must inform the company immediately in writing of any change in the address. 13. QUALITY OF TREATMENT: The insured acknowledges and agrees that payment of any claim by the insurer shall not constitute on part of the insurance company a guarantee or assurance as to the quality or effectiveness of any medical treatment obtained by the insured person, it being agreed and recognized by the policy holder that insurer is not in any way responsible or liable for the availability or quality of any services (medical or otherwise) rendered by any institution (including a network hospital) whether pre-authorized or not. 14. ID CARD: The card issued to the insured person by the TPA to avail cash less facility in the Network Hospital only. Upon the cancellation or non renewal of this policy in the Network Hospital only. Upon the cancellation or non renewal of this policy, all ID cards shall immediately be returned to the TPA at the policy holders expense and the policy holder undertakes to indemnify the insurer / TPA for any liability whatsoever due to any misuse of the ID card by any person whomsoever. 15. Protection of Policyholders’ Interest: This Policy is subject to IRDA (Protection of Policyholders’ Interest) Regulation. 16. In case of any grievance not redressed by the concerned Policy issuing Office, the Insured person shall have a right to appeal / approach the Chief Manager Grievance Cell of the Company’s Regd. Office situated at A-25/ 27, Asaf Ali Road, New Delhi-110002. The Central Government has also established office of the Insurance Ombudsman for redressal of policyholders’ grievances. 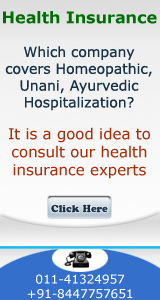 The insured may visit the site at http://www.ombudsmanindia.org/ for details. Premium will be loaded by 10% for new entrants.